Die Show von L.A. im Frannz Club findet nun doch wie geplant am 20.01. statt, Tickets gibt es an der Abendkasse. L.A. is leaded and fronted by Luis A. Segura, who, after 10 ten years of solo career, bet for new ways. The band based and originated in the island of Mallorca has been acclaimed by fans and critics for its strong live shows and tight sound. L.A. released their fifth album „King Of Beasts“ in May 2017 (see also the exclusive Track-By-Track comments by Luis A. Segura on popmonitor.de), including the singles “Wind” and “Leave It All Behind”. An evocative first taste of the very much awaited new L.A. record that was expected to evolve to new sound paths but keeping the band´s trademark of elegant “Californian” inflected indie rock that have raised them to the top of the most interesting and quality groups in Spain. After the successes of “Heavenly Hell”, “SLNT FLM”, “Dualize” and “From the City to the Ocean Side”, this new album was considered a massive step forward on L.A.’s unstoppable career. L.A. has always been a very international project taking them to share stages with the likes of Foo Fighters, The Black Keys, Muse, Arcade Fire, Franz Ferdinand or Placebo. 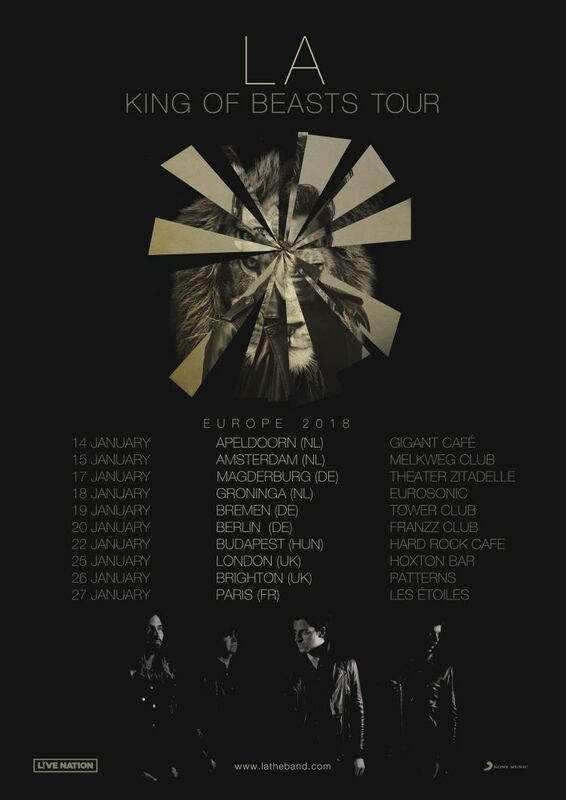 During February and March the band embarked on a first leg of “King of Beasts 2017” tour, playing on some of the best venues in continental Europe in countries such as the Netherlands, Germany, Italy, Switzerland, Belgium, Czech Republic and Denmark being special guests for Band of Horses in some of those dates. More than 18.000 music fans enjoyed those shows that now will take them to the Spanish shores. The renowned video producer Diego Hurtado de Mendoza and fashion photographer José Manuel Ferrater have directed L.A.’s latest video clips.